Otto’s Tacos is an LA-inspired grab and go eatery that brings Mexican food to New York City. Totally gluten-free and made from scratch, the tortillas are freshly made right on the spot. A little thicker than other tortillas, Otto’s might look slightly small but don’t let that fool you, it’s truly authentic Mexican street tacos that are overstuffed with delicious meats and fixings. I love these tacos and wish more Mexican restaurants would make their own tortillas. 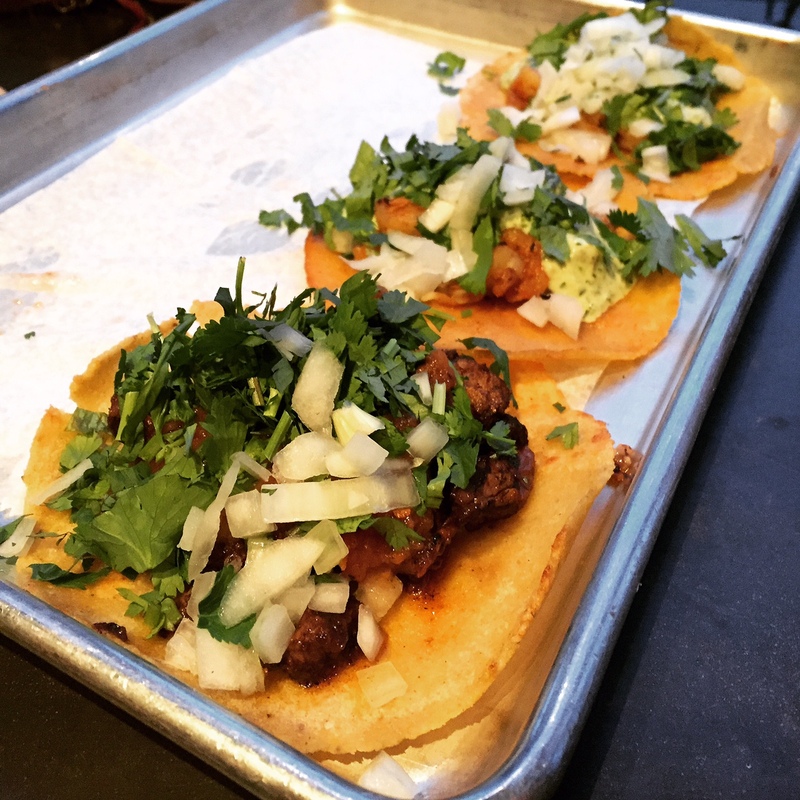 LOVE the shrimp tacos – not too filling but just enough to leave you satisfied. The serrano sauce (mayo-based sauce with serrano peppers) is just out-of-this-world and takes the taco to another level. Wish Otto’s sold the sauce because I would buy a tub of it. Carne Asada Taco $3.25 ea. It’s everything a steak taco should be – bold flavor, tender and tons of meat. Really appreciate the generous portions of cilantro and freshly cut white onions they top the taco with. Fun Fact: Okay this might not be “fun” but it’s important – the tortilla chips, masa fries and the Carnitas taco are NOT gluten-free. Unfortunately, Otto’s fry the chips and fries in the same fryer as the churros. The pork for the Carnitas is marinated in beer so stay away from these three items and you should be good! Verdict: Love the laid-back, come and go as you please, atmosphere. Seating is limited which means it can be hard to find a spot so be prepared to possibly stand. However that fact the Otto’s has no seating should show that the tacos are pretty awesome. Whether you order to go or stay in you’re sure to enjoy the food. Everything is reasonably priced and the staff is super nice and knowledge about what is and isn’t gluten-free. Can’t wait to go back!